All non-UK based retailers listed here ship to the UK. YOOX is the only place on the web where you will get all of this season's designer handbags. This is the ULTIMATE big name designer store. Go to the bags or accessories sections, and use the search bars on the left to find the designer accessories you need. Shipping £5.50 or Express delivery £15. 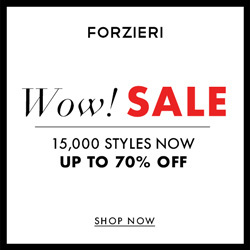 FORZIERI's uk site have all the most sought after fashion and designer handbags. All the top Italian and International labels as well as scarves and accessories from Alberto Gozzi, Basile, Bric's, Burberry, Buti, Cappopera, Caterina Lucchi, Dolce & Gabbana, Facondini, Fendi, Fontanelli, Forzieri, Gianfranco Ferre, Gabs, Gucci, Hogan, Krizia, L.A.P.A., Leonardo Da Vinci, Luciano Padovan, Mania, Maschera, Missoni, Miu Miu, Montecchi, Nuovedive, Paolo Bianchi, Pelletterie Fiorentine, Pierre Cardin, Pratesi, Prada, Renato Balestra, RG House of Florence, Ripani, Rita Botta, Robe di Firenze, Roberta di Camerino, Roccobarocco, Sogni D'Arte, Tavecchi, Tod's and Zoon. Guaranteed authentic - there are no cheap imitations, or label copies here. HatsandCaps.co.uk offers the largest selection of hats and caps online in the U.K. They sell virtually any hat you can think of, from Fedoras to Fezzes, Flat Caps to Trilby Hats or Cowboy Hats to Cloches. They stock all the biggest names in hats – Kangol, Jaxon, Stetson, Betmar, Bailey, Shady Brady and Goorin Brothers etc. If you are looking for a hat, this is the place to look. The site is well crafted and simple to navigate despite its extensive offering. Products can be navigated by department or brand and can be further refined by colour and size. Whichever way you follow there is plenty of information on hand to help you choose the right hat for you. They ship to the U.K. and E.U. and offer several choices of service, including free standard delivery within the UK for orders over £30 and next day delivery within the U.K for £4.95. Our first choice for inexpensive but quality costume jewellery. A lot of their jewellery looks as if it is the 'real thing', costing lots more. You've no need to tell !